Have you heard of the “Can’t Wait” card? It basically states you have a serious medical condition that requires you to use a bathroom urgently. Having one is helpful in establishments where restrooms are not available to the public. What States Acknowledge the Restroom Access Act? At least 15 other states have followed Illinois in passing similar legislation. Currently there isn’t a federal version of the Restroom Access Act, but more states are working to pass similar acts.2 The following states have passed Restroom Access Acts: Colorado, Connecticut, Delaware, Illinois, Kentucky, Maryland, Maine, Massachusetts, Michigan, Minnesota, Ohio, Oregon, Tennessee, Texas, Wisconsin, and Washington.3 If you live in one of these states and disclose your medical condition and/or present a “can’t wait” card to a retail establishment and are still denied access to a restroom, it is possible the establishment could be fined. If you are denied access to a restroom and have a covered condition under state law, get in touch with your local police department and ask if they can issue a citation to the business. If local law enforcement does not enforce the law, contact local and state elected officials. You will need to review the law to confirm the enforcing agency. You also have additional options of getting in touch with an attorney for more information and advice or a local news station to get the word out about the importance of adhering to the law. If you live in a state without a Restroom Access Act, consider working with state lawmakers to get a law passed. It is important to note that some states may require you to present some type of documentation from your doctor verifying a covered medical condition under the Restroom Access Act. However, many businesses might be accommodating once you show your “can’t wait” card. How You Get Your “Can’t Wait” Card? Unfortunately, there isn’t a known IBS organization in the US that creates and distributes a “Can’t Wait” card specifically for IBS. There are many IBD organizations, like the Crohn’s and Colitis Foundation of America (CCFA) that widely use the concept.1 There are also some drug companies that produce medications for conditions that require immediate restroom access, such as Cimzia for Crohn’s disease, that are also willing to provide one.7 The best bet for IBS sufferers is to check with your doctor’s office as they may offer similar cards to patients or have more information on obtaining them. Why You Should Get a “Can’t Wait” Card? Being out and about can pose a problem when you are suffering from IBS. It may restrict your ability to perform day-to-day activities and have a social life. But you shouldn’t have to stay home. Having a “can’t wait” card may reduce the chances of an embarrassing accidents or having to explain or prove a medical condition requiring immediate restroom access. The “can’t wait” card is as small as a credit card and fits in your wallet. That small card could make your life easier. And although the card does not guarantee access to a restroom, most places are happy to help and as noted, some state laws require businesses to do so. Individual Membership Levels and Benefits. 2016 Crohn's & Colitis Foundation of America. http://www.ccfa.org/get-involved/become-member/individual-membership/levels-and-benefits. Published 2016. Accessed July 10, 2016. Illinois General Assembly - Illinois Compiled Statutes. Illinois General Assembly - Illinois Compiled Statutes. http://www.ilga.gov/legislation/ilcs/ilcs3.asp?ActID=2726&ChapterID=35. Published 2015. Accessed July 10, 2016. Owens S. The Grassroots Movement to Change the Nation's Public Restroom Laws. US News. http://www.usnews.com/news/articles/2012/12/20/the-grassroots-movement-to-change-the-nations-public-restroom-laws. Published December 20, 2012. Accessed July 10, 2016. Freeman K. Irritable Bowel Syndrome. Irritable Bowel Syndrome. http://www.clevelandclinicmeded.com/medicalpubs/diseasemanagement/gastroenterology/irritable-bowel-syndrome/. Published August 2010. Accessed July 10, 2016. Irritable Bowel Syndrome IBS. Johns Hopkins Medicine, based in Baltimore, Maryland. 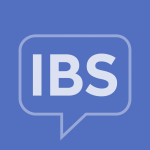 http://www.hopkinsmedicine.org/healthlibrary/conditions/digestive_disorders/irritable_bowel_syndrome_ibs_22,irritablebowelsyndromeibs/. Accessed July 11, 2016. "Ally's Law" - IBD Restroom Access Act. Petition2Congress. http://www.petition2congress.com/15223/allys-law-ibd-restroom-access-act. Accessed July 11, 2016. Restroom Access Card. CIMZIA®. https://www.cimzia.com/assets/pdf/ucbcp_bathroom_access_card.pdf. Published 2015. Accessed July 11, 2016.